We all love a good story, don’t we? Storytelling is an intrinsic part of human life, as old as time itself. Whether through ancient rock art, paintings, oral recitals, printed page, poems, photographs, films, music and lyrics, we just love telling and being told a good story. Storytelling, of course, takes many forms. Originally a way of passing on historical information about a particular people or culture from generation to generation, stories now help entertain, educate, provoke, entice, distract. They can be cautionary tales or inspirational, a way to pass on morals or guiding principles. They have morphed from merely passing on facts into folklore, legend, myth and fairytale. And because we all love a good story, it is unsurprising to find that folklore, legends and myths have found their way onto whisky packaging. After all, marketing is essentially another form of storytelling. Just as a really good story remains memorable because we make an emotional attachment to the characters involved, brands go to great lengths to develop stories that will hopefully resonate with you, the consumer. When it comes to whisky these stories may actually relate to the product behind the marketing and in other occasions, the link is a little more, well, tenuous to say the least. This is especially true of no-age-statement whiskies when creativity goes a long way to divert attention from what’s actually in the bottle. For example, Jameson Black Barrel. Jameson uses double charred ex-bourbon barrels to mature the spirit… no problem with that marketing link; it’s relatable to the product, it has a story that touches on actual production methods. The Tyrconnell is named after a racehorse that won against the odds. Nice story but tells me precious little about the whisky. Arran chose to have ‘Bran’ the dog, the hound of the legendary warrior giant Fingal, adorn the front of their Machrie Moor expressions… the link to whisky making here has definitely entered tenuous territory. Of course, our favourite purveyors of non-whisky related branding are Highland Park. Why bother with boring old age statements when you can just release a who’s who of Nordic legend and myth. We’ve had the Warrior series, the Valkyrie, Fafnir the Dragon, Great Odin’s Raven, the Beard of Zeus… no, wait, sorry that one was Anchorman. But you get the picture. What next, the ‘Hot Rod’ series with pictures of Andy Samberg on the bottle and his favourite Totem Spirit animal? Actually, if that does get the go-ahead, remember to send me a cut for the idea! 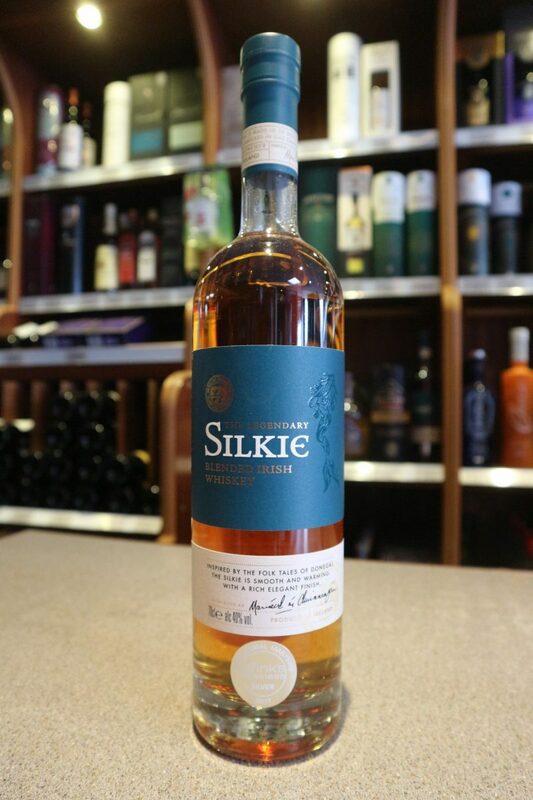 All this brings us on to the whisky we are reviewing today, The Silkie, from the Sliabh Liag (Slieve League) distillery in County Donegal. Well, I say Sliabh Liag distillery – but as regards whiskey production it doesn’t actually exist yet as construction is due to begin in 2019. When it is operational it will produce both single malt and pot still whiskies. Interestingly these will both be triple distilled and peated! They also plan to follow a Kilkerran style path by releasing yearly expressions leading up to their signature 10 year old expression. They do however have a working gin distillery called An Dúlamán, built in 2017 just outside Carrick village in Donegal, producing the An Dúlamán maritime gin that is infused with seaweed. So what’s a Silkie? If you google it you may well think its a type of chicken or an item of hosiery. In fact, it’s neither. Google Selkie and you will see that its a shape-shifting creature of ancient folklore common to both Ireland and Scotland. According to dictionary.com a Selkie (it can also be spelt Silkie, I was just being a pedant) is a mythical creature that resembles a seal in the water but assumes human form on land. So while we have a piece of marketing that again has little to do with whisky that isn’t my main concern with The Silkie. My main concern is that there’s a touch of the ‘Hyde’ approach to labelling going on here. While I think the bottle does look very well indeed I take issue with the fact it is embossed with the words ‘Sliabh Liag Distillery’ just above The Silkie wording. This is also recreated around the neck of the bottle. 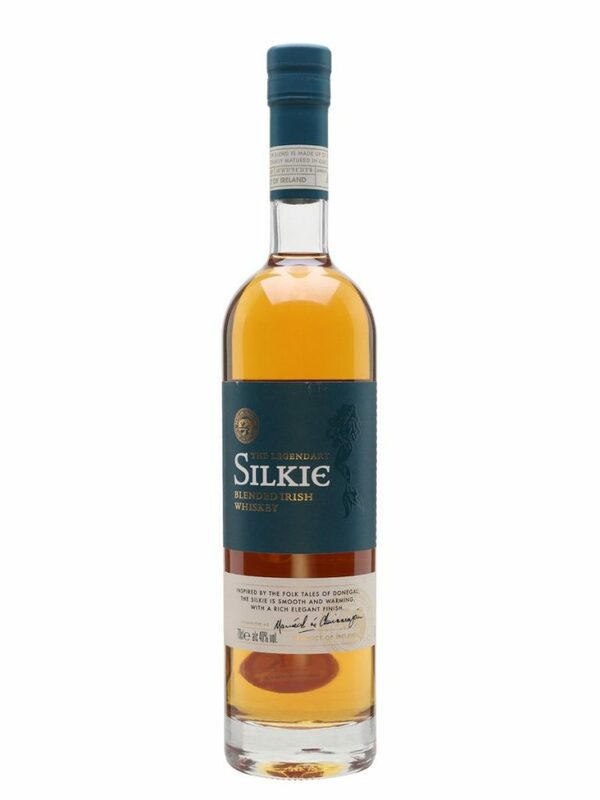 In a previous iteration it even went so far as saying ‘Sliabh Liag Distillery – Donegal – Ireland’; this can be seen on the Celtic Whiskey Shop website Silkie listing. And the word Donegal still features prominently on both the front and rear labels. The fact is that the Sliabh Liag distillery as a whiskey producing entity doesn’t exist. So this is simply misleading labelling. And it has worked. 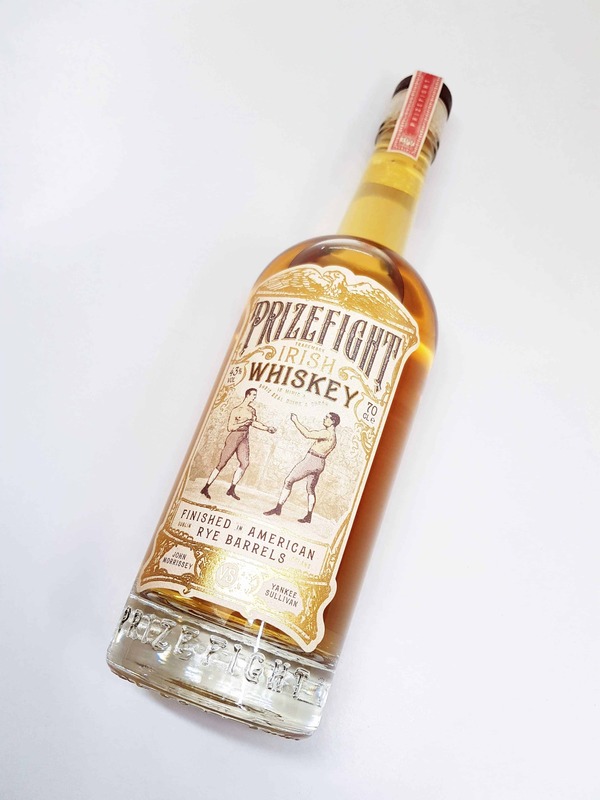 When doing a bit of price hunting online I came across the bottle on Amazon with a review in which the reviewer who has gifted this bottle to a friend states this is “also the first Donegal whiskey he (the friend) has in his collection”! But IT’S NOT FROM DONEGAL, IT’S SOURCED! This is the type of labelling that the Irish whisky industry and the Irish Whisky Association has to get tougher on and regulate. It does the Irish industry as a whole a disservice. I have no qualms with the brand name, whisky related or otherwise, but just don’t insinuate you have a whiskey distillery in operation when you do not. To get off my high horse a little they do state at the bottom of the rear label ‘Blended & Bottled for Drioglann Sliabh Liag, Carrick, Co. Donegal, Ireland’. (For those wanting to know, drioglann means distillery in Gaelic). However, this still insinuates they currently possess a whiskey distillery and the wording is suitably vague enough that you could easily think they have a least a modicum of input into the creation of this whiskey rather than just sourcing it. Personally I’d rather see it say ‘Distilled, blended & bottled for…’ which gives a true representation of the product within the bottle. So what is in the bottle then? Likely a blend of Cooley malt and grain whiskey like nearly every other new blend released currently in Ireland. There are no details on ratios, cask types used or even a rough indication of age. Bottled at 40%, probably has a bit of e150 colouring in there, certainly is chill filtered and a bottle will set you back around £30 to £38. I was given a sample by my good friend, Hugo. On the Nose: It’s young and spirity with a good dose of alcohol fumes from the off. Once past the alcohol there is a decent dose of green apples, under-ripe apricot, some peach, white grapes, malt, honey and a floral perfume note. All quite clean and fresh. In the Mouth: Very thin and watery in the mouth with a very soft arrival that brings a little honey, some parma violets, orange peel, a little caramel and then the perfume rears its head again. The finish is short, slightly bitter and dry with a hint of oak. This is another limited, bland, ten-a-penny Cooley blend style Irish whiskey with spurious provenance that the Irish whiskey sector just doesn’t need. It doesn’t bring anything new to the table and it is stupidly overpriced for what it is. 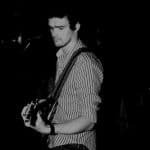 It is practically twice the price of Bushmills White Label or regular Jameson, both of which offer a better experience. It can’t even come close to Powers Gold Label. It loses a point for the excessive price and that labelling needs to be sorted. But this is not the whiskey to judge Sliabh Liag on, as it isn’t their own. Only time will tell how good whiskey from Sliabh Liag will be, and personally, I hope it will be a belter. The Silkie, however, is far from legendary. Wow……agree with your sentiments on the labelling. Never tried it but if its getting a worse score than bushmills white label then I’m staying clear! 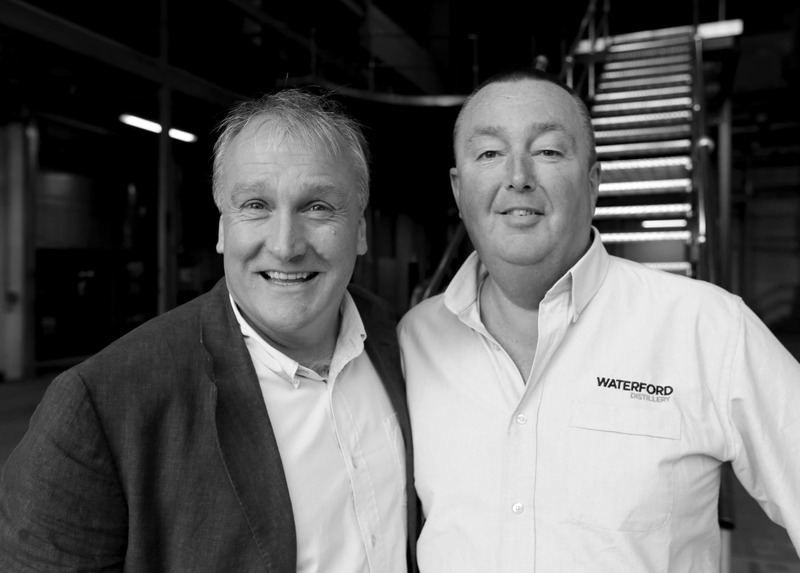 Irish whiskey needs to be very careful charging too much for too little! It could end up the lada of world whiskey if not careful. The value is in Scotland!